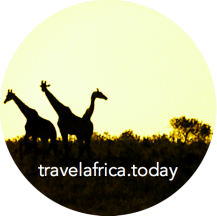 The biggest issue with traveling in Africa is not whether to visit, but what to visit. We are here to try and help your decision a little easier, by sharing with you Africa's most unique experiences. In our blogs and reviews we travel to the most incredible places in Africa, from swimming pools suspended on the edge of Victoria Falls, to a king-size beds beneath the stars, to wine trams through vineyards, to secret waterfalls plunging into the sea. Every single place should be on your bucket-list, so you'd better get going, because the list is Africa's most unique experiences is rapidly increasing, while your time to get them done is not! Run through Africa...in just over a minute! Woke up in Franschhoek with snow on the mountains and so the adventure began..